into captivating digital and print marketing pieces. and drive customers to our clients’ destinations. full-service, digital and print marketing agency. At InsideOut Solutions we believe quality design and marketing can greatly improve business success. From bed & breakfast website design, to logo and print design, InsideOut is the destination for all your marketing needs. 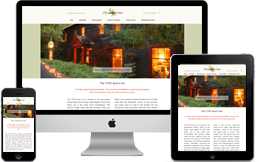 For 20 years, InsideOut Solutions has created internet and print marketing solutions for a variety of businesses, with a special focus on bed and breakfast website design, hosting and destination marketing. We are story tellers, and if you’re a B&B inn, dude ranch, winery, event facility, restaurant, travel organization or small business, we can help you tell yours. From logo design to website design, and everything in between—one stop for marketing your business. 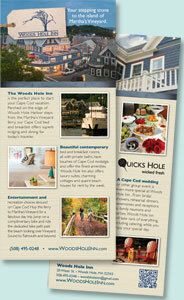 InsideOut offers both custom and concept themed designs for small businesses in the market for a new website. InsideOut Solutions, for all your marketing needs.